Damascus will view opposition groups that refuse to condemn the deadly suicides attacks in Homs on Saturday as accomplices of terrorists, Bashar al-Jaafari, Syrian government’s negotiator at the Geneva talks, warned. 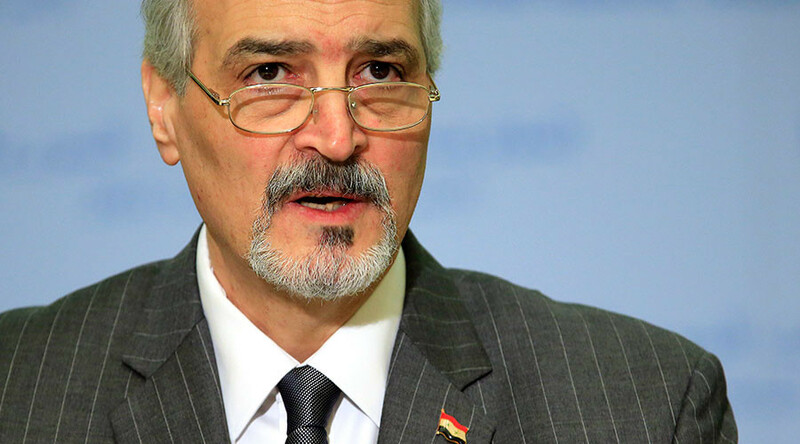 “We urge UN Special Envoy for Syria Staffan de Mistura to address all the platforms [of the opposition], participating in the Geneva talks, to condemn the attack in Homs,” Jaafari told reporters. 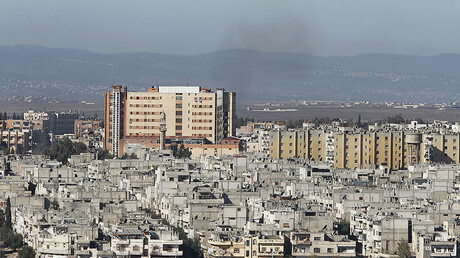 “The terrorist attack that took place today in Homs, was not only a military attack, but also political one,” he said. Following calls from the government, the Syrian opposition delegation in Geneva has condemned the Homs suicide bombings, but blamed Damascus for trying to take advantage of the attacks. "We condemn all terrorist acts [carried out] by all terrorist groups. If the Homs operation was done by any of those, it is clear what I say," Nasr al-Hariri, the leader of Syria's main opposition group, the High Negotiations Committee (HNC), told journalists. Hariri also said that the opposition has no intention of abandoning the Geneva talks. Earlier Saturday, 50 people were killed, including a high-ranking officer, and 24 others were injured in six suicide bombings outside military facilities in the Syrian city of Homs, SANA news agency reported, citing Syria’s Foreign Ministry. The Al-Nusra Front terror group, which renamed itself Jabhat Fateh al-Sham, has claimed responsibility for the attack. “This dangerous development necessitates that [not only UN Secretary General and UNSC, but] also the Special Envoy condemn this act of terror and that all the factions participating in Geneva talks, without exception, condemn such terrorist attacks,” the ministry said, as cited by SANA. The office of UN Syria envoy De Mistura also said that the "horrific terrorist attack" in Homs was aimed at undermining the Geneva peace process. "Spoilers were always expected, and should continue to be expected, to try to influence the proceedings of the talks. It is in the interest of all parties who are against terrorism and are committed to a political process in Syria not to allow these attempts to succeed," the emailed statement from the envoy’s office said. De Mistura, who earlier talked to the opposition, is meeting with the Damascus delegation in Geneva on Saturday and Sunday. On Friday, the Syrian government delegation received a procedural paper from the envoy where he presented his vision of the format of the talks. According to Sputnik’s sources, de Mistura suggested creating three working groups for the discussion of each of the key issues, including governance, constitution and elections.